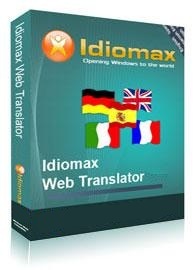 Then you're ready for IdiomaX Web Translator 7.0. Translate the active webpage, preserving links and formatting. Select specialized dictionaries before translation. The revolutionary IdiomaX Mobile Translator. It downloads easily onto your SmartPhone or Pocket PC and goes wherever you do. Stuck for a word or phrase when you're stuck in traffic? Need to translate an email at the lake or a document on a business trip? Mobile Translator is as close and convenient as your cell phone. Special Price Offer: You get 10% off the Mobile Translator when purchased with the IdiomaX Web Translator. Check here now to include "IdiomaX Mobile Translator" with your order IdiomaX Web Translator and claim your HUGE 10% discount available to Web Translator customers ONLY!